Bill Hooper was born on January 8, 1946, in Portsmouth, Virginia. He was drafted into the U.S. Army on December 13, 1965, and completed basic training at Fort Benning, Georgia, in February 1966. After completing advanced individual training as an Artilleryman at Fort Sill, Oklahoma, Hooper was selected to attend Officer Candidate School, where he graduated with a commission as a 2d Lt of Artillery on December 6, 1966. 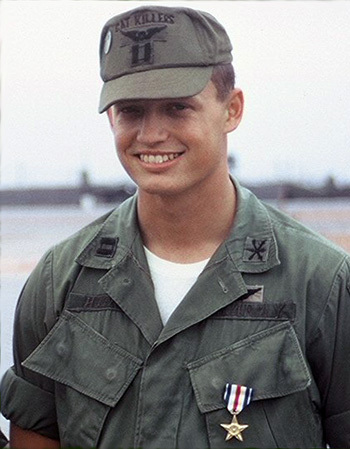 Lt Hooper served with the U.S. Army Air Defense Center at Fort Bliss, Texas, from December 1966 to July 1967, and then completed the U.S. Army Fixed-Wing Aviator Course at Fort Stewart, Georgia, and Fort Rucker, Alabama, in April 1968. He then deployed to Southeast Asia where he served as an O-1 Bird Dog forward air control pilot with the 21st Aviation Company in South Vietnam from June to September 1968, followed by service with the 220th Aviation Company in South Vietnam from September 1968 to March 1969, when he was wounded in combat. Capt Hooper was then transferred as a patient to Camp Zama, Japan, and then Fort Gordon, Georgia, where he was medically discharged from the Army on April 6, 1970. 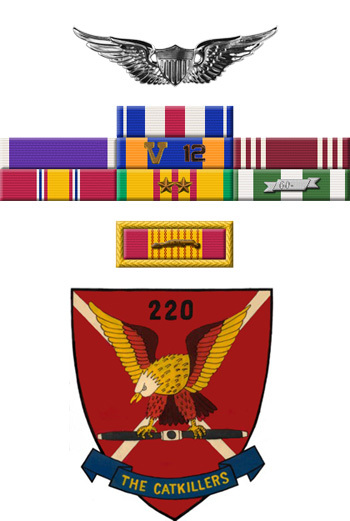 For gallantry in action in connection with military operations involving conflict with an armed hostile force: First Lieutenant Hooper distinguished himself by exceptionally valorous actions while serving as an aviator in an O-1 light reconnaissance aircraft in marginal weather, to assist beleaguered friendly units in the demilitarized zone. He arrived over the area to find two companies separated, each of them receiving intensive hostile machine gun and mortar fire. With a total disregard for his own safety, he sought out the menacing positions, and upon finding them, he marked one with a white phosphorus rocket for an Air Force forward air controller. Learning that there would be a delay in getting ordnance on another enemy position, he engaged it with his marking rockets, scattering the NVA personnel and silencing the weapon, while his aircraft took two hits from automatic anti-aircraft fire. Staying over the ground units until his fuel state became critically low, he coordinated the movements of the two companies to assist them in successfully linking up and completing the operation. He kept the units informed of the entire situation and helped suppress the enemy fires which were hindering them. Through his valiant efforts the friendly forces were able to regroup, advance on the enemy forces, and strike a significant blow against them. His actions were in keeping with the highest traditions of the military service and reflect great credit upon himself, his unit, and the United States Army.